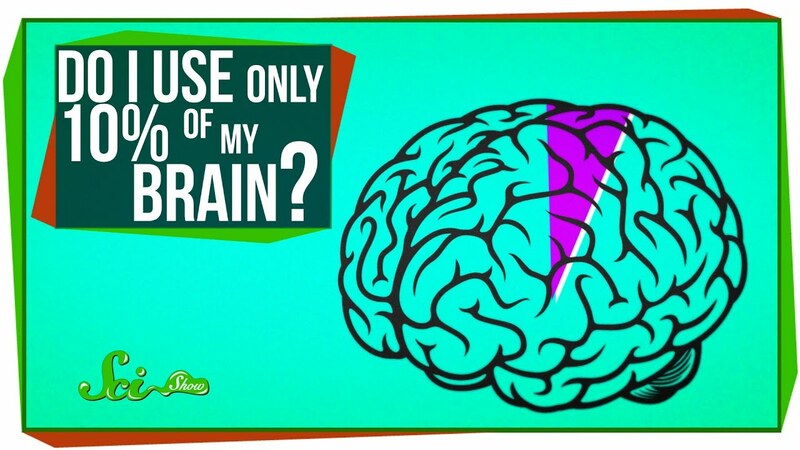 Mergify: 10% Brain Myth - Do I use my brain to the full extent? 10% Brain Myth - Do I use my brain to the full extent? Do you think that you use only a part of your brain while doing things? Well, the actual thing is not like that. Many believe that humans use only 10 percent of the human cerebral capacity (If you had watched the movie 'Lucy', you would probably listen to this term frequently). As far as the belief goes, it is said that insects use less than 1% of their brain's capacities, other animals rank at about 5% and humans are at 10%. The highest level is that of the Dolphin with 20%. Well, all of that is wrong! In order for a person to stay alive and do normal things, all the parts of the brain need to be functional and work in relation to each other. OK, let's put it this way. If at all we used only 10%, what happened to the other 90%? If 90 percent of the brain is normally unused, then damage to these areas should not impair performance. Instead, there is almost no area of the brain that can be damaged without loss of abilities. Even slight damage to small areas of the brain can have very significant (and of course,lethal) effects. Brain scans have shown that no matter what one is doing, all brain areas are always active. Some areas are more active at any one time than others, but barring brain damage, there is no part of the brain that is absolutely not functioning. Now, next time you think that you feel dumb or something like that, just use your brain to think a bit different - Out of the box!!. With this, you will definitely have the answers to all the problems in your lives!! Be happy, feel the same for others too!